Scarcity or plenty in Tasmania’s forests? Tasmanian forestry has been the subject of politicisation and conflict for decades, especially since the mid-1980s after the High Court put a brake on the hydroelectric industrialisation of the state. From then there is a discernible change of conservation attention from rivers to forests. Nationally Tasmanian forestry has been contentious throughout the 1990s and the 2000s. While most conflict has been centred around the so-called ancient forests in the Florentine, Tarkine, Styx, and Weld, it was only recently that Wielangta was introduced into the fray. Wielangta is located on the east coast of Tasmania, approximately 50 kilometres north east of Hobart, close to the Triabunna woodchip mill. The forest is accessed from Sorell in the south and Orford in the north. The forest is a mix of dry and wet schlorophyll eucalypt. Unlike those ancient forests that have acted as rallying points for conservationists, Wielangta has a long history of forestry, dating from the mid to late 1800s and only being gradually displaced by the creation of reserves in the late 1980s. Today, Wielangta comprises distinct pockets of never logged forest, an abundance of old-regrowth forest, ongoing logging coupes and vast areas of cleared land. As a conservation concern Wielangta only rose to attention because of the court cases championed by Senator Brown that we will discuss today. the incredibly rare broad toothed stag beetle, endemic to the local area and a nearby island reserve. Each species is listed as threatened under the Commonwealth’s Environment Protection and Biodiversity Conservation Act 1999 (commonly known as the EPBC Act). By virtue of their listing under the EPBC Act these species are protected. More than simply an altruistic attempt to preserve these species, the case was an opportunity for Senator Brown to argue that forestry activities in Tasmania are both environmentally harmful and illegal, and to undermine the protection regime that is so closely linked with resource use. As one of Senator Brown’s advisors noted “Bob wanted to challenge the EPBC Act [and wanted to show that] the 1990s inter-state agreement on forestry had failed to deliver the good outcomes that had been promised”; and as another noted “he wanted to bring about a fight”. It was a strategic, rather than emotive, case and Wielangta was convenient because of the presence of these three threatened species. The legal issue centred on section 38 of the EPBC Act. That section exempts forestry activities from the Commonwealth’s environmental law that otherwise prohibits actions that are likely to have a significant impact on species protected under the Act. It is a law that is directed at protecting the environment from harm and conserving biological diversity; an object that Australia has international obligations to satisfy. The exemption exists because forestry activities, management and conservation in a number of states are subject to agreement between the Commonwealth and the States. These Regional Forest Agreements (or RFAs) specify Commonwealth conditions to it forgoing its regulatory involvement in state-sanctioned forestry. The Agreements seek to balance the objects of surety of forest supply, regulatory simplicity, sustainable use of the forest resource, and conservation. The Regional Forest Agreement and the EPBC Act have vastly different coverage. The Tasmanian Regional Forest Agreement applies to the entire state. It treats the state as one large forest region within which conservation occurs simultaneously with forestry. By contrast, the EPBC Act only applies to Commonwealth protected areas, like the vast Tasmanian Wilderness World Heritage Area and the Rasmar Convention nominated wetlands of international importance, which are dotted mostly along the coast. The Act, as noted, also applies to species wherever they are located. The conservation focus is therefore narrower in scale. In this series of cases the most relevant clause of the Tasmanian Regional Forest Agreement was clause 68. This is the clause that specifies how Tasmania will protect designated species in the state, species that include the swift parrot, the Tasmanian wedge tailed eagle and the broad-toothed stag beetle. In its original form, and the form it was in for the trial, the clause stated in effect that: Tasmania agrees to protect the three species of relevance through a system of reserves or by applying management prescriptions. The case was, from a legal perspective, rather straightforward. It ought to have been a question of statutory interpretation … of what is meant by s 38 of the EPBC Act? Does the exemption only apply if the RFA protects species? Or is it enough that a reserve system with the intention of conservation has been established? Either way, what is a forestry operation taken in accordance with an RFA? This, however, was not how the case was run. Aside from the Commonwealth in its role as intervener, the parties saw this case as involving much more than the interpretation of legislation. Indeed, in the trial, the interpretation question was suffocated by the large amount of scientific evidence that was led, particularly by Forestry Tasmania. One of Senator Brown’s lawyers, noted that Forestry Tasmania could have run a case on s 38, and its lawyers outlined that case in its opening submissions, but instead it quickly got engaged in a “battle of the hearts and minds that logging is a good thing”; that they couldn’t resist responding to the allegation of non-protection of the environment. This was confirmed by a member of Forestry Tasmania, who told me that: “We needed to say the accusation that ‘you guys endanger species’ is wrong”. Further, I was told, Forestry Tasmania was not going to concede that it has a significant impact on species under the EPBC Act and then rely on the s 38 exemption in that Act. Moreover, it was going to argue that its management approach did in fact protect species as contemplated by the RFA. And so the case took on extra meaning to the two sides. And their arguments about the law were based not simply on what the laws meant in a legal sense, particularly drawn from legal tradition of precedent and tools of interpretation aided by scientific understanding. Rather, the scientists framed the laws in light of their views about whether Tasmania’s forests were being managed by foresters in a way to preserve species or whether forestry was further endangering protected species. For instance, two of Senator Brown’s experts articulated concerns about the replaceability of old-growth forests with plantations and the loss of species refuges, while one of Forestry Tasmania’s witnesses noted that the organisation’s research funding improved conservation outcomes. The starting point for each side was scarcity or plenty. Forestry Tasmania’s scientists went so far as to devise a controversial (and ultimately detrimental) process of scientific peer review of all the science it prepared for the case. It did so in order to ensure coverage: to offer more science than the other side; and depth: to outdo the other side on complexity and detail. To the judge the process appeared a bit like collusion. To Senator Brown’s expert witnesses they saw Forestry Tasmania as getting ‘waylaid on the trivial’. The Forestry Tasmania scientists were very much in control of their organisation’s case. Both sides presented their own version of what it meant to protect species. Senator Brown’s scientists did so simply and forcefully. Witness evidence was directed and formulaic and less concerned by scientific uncertainty. Witnesses were very much guided by the EPBC Act notion of significant impact, and saw the role of legislation to maintain species; to not allow any activities that would further threaten those species already under threat. It was an approach to science dismissed by Forestry Tasmania as simplistic, narrow and emotive. Forestry Tasmania’s view was much more pragmatic and guided by the notion that conservation does not occur in pockets, rather ought be judged across the state. In this instance the State is subject to one RFA that balances conservation and resource use. Forestry Tasmania found it more difficult to position a scientific view within the legal regime because the RFA lacks the legal status of the EPBC Act. In its view, not all places are of equal value – certainly not a long-term logged area; and not all impacts on species threaten the integrity of the ecosystem or population persistence – and these were the test for protection and impact. Forestry Tasmania’s scientists were much more cautious and their witness statements complex and cross-dependent. They read and were presented like scientific papers. The overriding message, while not clear, was that forestry management could and did protect species within a dynamic ecosystem that allowed for the exploitation of plentiful resources. Justice Marshall made his decision on the basis that the parties wanted. He was asked to determine whose science was right and he chose Senator Brown’s. Threatened species, he concluded, could not be further threatened under the law, which is what forestry activities did. His decision, very light on legal reasoning, was criticised and overturned by the Full Federal Court based on its interpretation of the statute. The EPBC Act exemption applied, the court said particularly relying on the extrinsic materials that accompanied the inclusion of s 38 in the EPBC Act, if Tasmania had created a series of reserves under the RFA with the intention of preserving species. Unfortunately for Forestry Tasmania, still smarting from the trial decision, the Court declined to revisit the question of what it meant to protect species, and whether Forestry Tasmania was a protector of or threat to endangered species. In 2007 a varied clause 68 was introduced into the RFA making abundantly clear that the conclusion of the Full Federal Court reflected the parliament’s intention. It was a move by the executive that frustrated a challenge to the High Court, which gave the impression that it is awaiting a case to comment on the EPBC Act for the first time, and encouraged proposals for legislative reform. In the end, both sides are claiming victory in the science debate that this case became. Arguably, Forestry Tasmania’s view of the science of forestry and conservation has prevailed on the executive. However, this overlooks the very political nature of the changes made to the RFA, a political and economic interest in perceiving Tasmania’s forests as a plentiful resource, and changes the context that existed when the RFA exemption was included in the EPBC Act. Forestry Tasmania also maintains, in a form of legal revisionism, that Justice Marshall’s findings of fact have been overturned by subsequent events. Meanwhile, Senator Brown got his finding in the court of the country, not simply in the court of public opinion, that Tasmanian forestry does threaten the environment; that the forests are not plentiful, rather a scarce habitat for endangered species. That the law ultimately proved unhelpful to his cause will likely embolden him and his supporters for reform. You should stay tuned. I have written further on the Channel Deepening Project and its assessment under the Environment Effects Act 1978 (Vic) in a recently published chapter in a book edited by my colleagues at the ANU College of Law, Tim Bonyhady and Andrew Macintosh. Mills, Mines and Other Controversies: The Environmental Assessment of Major Projects is published by The Federation Press. The Channel Deepening Project exposed the weaknesses in Victoria’s EIA laws. In the absence of an adequate legislative structure, the process was mismanaged and manipulated for political purposes. The result was a disjointed and unsatisfactory assessment that cost millions and left many with concerns about the project and its potential impacts on the environment and human health. At least partly because of the perceived failings of the first EES process for the Channel Deepening Project, the Victorian Government has sought to constrain EIA processes for subsequent projects, particularly the North-South pipeline and the Wonthaggi desalination plant. For the pipeline a type of project assessment was invented and conducted that bore no resemblance to an EIA. In the desalination project, trial works were exempt from assessment and the policy support and need for the plant were specifically excluded from the EES process. The steps the government has taken in these and other projects have limited community involvement and undermined the role of independent adjudicators. Ironically, these aspects of the EIA process did not derail the Channel Deepening Project assessment. They helped to underscore the failings of parts of the assessment, highlighted faults with aspects of the project, and ultimately led to a more rigorous assessment. Reform is overdue. No longer should the process be one where proponents and objectors offer themselves to a political game where only the politicians can and do win; and more than occasionally a proponent succeeds, battle-scarred. Changes need to be made to ensure the EIA process meets the commonly agreed objectives of rigour, transparency, fairness and participation. The introduction of the EPBC Act has not raised the standard of EIA in Victoria. On the contrary, the Commonwealth’s role has been used as a credential for the Victorian Government’s assessment approach, thereby further stalling reform. Moreover, the EPBC Act has offered misplaced hope to community opponents who do not appreciate its limits. This has resulted in litigation that has drained community resources for little public benefit. In a recent article Professor Donald Rothwell and I critique a judgment of the Australian Administrative Appeals Tribunal and discuss the consequences of uncertain marine park boundaries on the regulation of Australia’s most celebrated and threatened World Heritage Area: the Great Barrier Reef in northern Queensland. The impetus for the court case and the subject matter of the article appeared in the first instance trivial – a complaint by an island resident against a seaplane operation. However, the complaint demonstrated the failure of the existing legal structures to consider environmental effects of a marine or above water activity experienced on land. It also highlighted the ineffectiveness of government agencies to co-ordinate assessment of a proposal requiring approval in a way that ensured the requirements of various laws were met. In our article we also analyse the law of marine boundaries in Australia and highlight deficiencies in the analysis of the tribunal and the lawyers representing the Great Barrier Reef Marine Park Authority. The article is titled ‘The limits of the Great Barrier Reef Marine Park: Defining bays and redefining regulatory control’ and has been published in volume 37 of the Federal Law Review. “Victorian environmental assessment is entirely dependent on guidelines, there is almost nothing in legislation” … “Because of this, the Minister for Planning can use or ignore the guidelines to suit his needs. Other States also have disappointing laws around environmental assessment, but the fact their laws are detailed puts them one step ahead of Victoria. The media release was picked up by The Age. Here is the paper I presented at the State of Environmental Assessment Conference, Canberra, 23 May 2008. A book with a much longer chapter of my research into the Channel Deepening Project and Victoria’s environmental assessment laws will follow in a few months. For the purpose of the blog I have removed all references. References will be included in the final paper and can be provided on request. Victoria’s environmental assessment process, which is notionally found in the statute books within the Environment Effects Act 1978, but in reality is found on the Minister for Planning’s desk, where it is always available for amendment and manipulation, is in need of reform. Reform is needed so that environmental assessment in Victoria meets its globally understood purposes of transparent, accountable, rigorous, and deliberative assessment of projects. The most effective way to meet these purposes is to abandon the Environment Effects Act 1978 and incorporate a rigorous assessment within the Planning and Environment Act 1987. This change should be accompanied by greater use and empowerment of Planning Panels and an ongoing commitment to review State strategic policy with consideration for the environment and society. In making my case for reform, I will report on the flaws of the Channel Deepening Project assessment. I will identify problems with the current process not fixed by the 2005 minor amendments to the Environment Effects Act 1978 and suggest improvements with the interaction between Victorian and Commonwealth assessment. The Channel Deepening Project is underway in Port Phillip, the Yarra River, and Port Phillip Heads in Victoria. The proponent of the project, the Port of Melbourne Corporation, is dredging the channels for the existing main shipping route from Bass Strait to the Port of Melbourne, which sits on the Yarra River. The dredging is not a new occurrence. The channels have been dredged many times before. In this instance, however, the volume of dredging far exceeds past dredging effort. The motive behind the project is to deepen shipping channels to an adequate depth to accommodate the larger ships that are predicted to arrive in the port in the coming years. The fear in not doing the project is that Melbourne’s competitiveness as a trading port, especially for the container trade, will be hampered. The perceived and actual environmental effects of the project are manifold. They principally relate to the removal of rocks at the Heads, an area that abuts a marine park, the disturbance of toxic sediments in the Yarra River and the disposal of these sediments in the middle of the bay. The project was referred under the Victorian Environment Effects Act 1978 and the Commonwealth Environment Protection and Biodiversity Conservation Act 1999. The upshot of those referrals was that the project was required to be subject to an Environment Effects Statement, which was accredited for the purpose of the Commonwealth investigation. The environmental assessment process in Victoria, and the minor contribution the Environment Effects Act 1978 makes to that process, is typical of environmental assessments. Less typically, however, it fundamentally depends on the implementation of the guidelines that support the Act. It is within the supporting guidelines that criteria for assessment, commitments to public processes and community deliberation, and timelines and requirements for open and accountable steps within the process are all found. Being guidelines they can be amended without oversight. They contain malleable language, which provides opportunities for manipulation. Because they are non-enforceable and non-binding, they are often not complied with. Contrasted with other regimes, there are no offences in the Victorian Act, and there are no requirements on proponents to refer projects. My call for reform of the Environment Effects Act 1978 is not the first. In fact a reform agenda existed just years ago. The Labor Party, originally in opposition and then in government, promised to revitalise Victoria’s environmental assessment process, which they claimed ‘no longer reflected leading practice’. The promised changes were not revolutionary. Commitments to greater transparency and accountability, community involvement, consistency and the depoliticisation of the process were understood by interested parties. The recommendations of the appointed Advisory Committee into the Environmental Assessment Review were largely predictable and unadventurous despite being withheld for two-and-a-half years. In most respects the proposals were to mimic parts of legislation from other jurisdictions and to update what was generally regarded as an outmoded and undemocratic form of environmental assessment. The Advisory Committee’s proposal was for a three-tiered assessment approach within the Environment Effects Act 1978 along with new guarantees of transparency, deliberation, and accountability. However, the Government ignored the recommendations despite them being heavily influenced by its own Department’s suggestions. The Act barely changed with the passage of the 2005 Amendment Act. The changes of note were the opportunity for proponents to refer projects was clarified and the Minister received the power to issue conditional ‘assessment not required’ advices. Despite the timidity of the changes, the Government unconvincingly claimed to have responded to the mood for change and that it had ‘enshrined’ improvements to the process merely by updating the Ministerial guidelines that support the Act. Perhaps it was because of the perceived failings of the first Environment Effects Statement process for the Channel Deepening Project that the Victorian Government ignored recommendations for reforms to the State’s environmental assessment laws. If that was the case then the State was misguided to think that to continue with the current regime and use it in a much narrower fashion, as it has sought to do for the proposed North-South Pipeline, and will likely repeat for the proposed Wonthaggi desalination plant, will improve the timeliness of assessments and enhance society. Rather, transparency, participation, and accountability have all been weakened by the Government’s current approach. The Channel Deepening Project could have been assessed in a much fairer and much quicker way in a reformed environmental assessment process. As it was, the Environment Effects Statement took longer than the State expected, the panel inquiry went for three arduous months, the project was highly criticised as being not supported by the assessment materials, and during the panel inquiry failings with the assessment work and management approach were revealed. The Government did not get the tick of approval it wanted from the process. Unfortunately, the current tight leash approach to environmental assessment characterises the Channel Deepening Project process as a failure, rather than acknowledging that the project was not ready to undergo the process in the first place, and that the process succeeded in demonstrating this. Two improvements of the Government’s current efforts to fast track assessments is the focus on identifying key environmental matters and giving greater control to inquiry panels to manage the process. This has been taken too far in the North-South pipeline, but was useful in the Supplementary Environment Effects Statement process for the Channel Deepening Project. These aspects, which will undoubtedly expedite the process, should be considered in a reformed Environment Effects Statement process that also entrenches community rights to participate and government obligations to be open. These two changes do respond to one of the key flaws of the first process, which was the scoping of the Environment Effects Statement. Critically, the guidelines for the project failed to identify the issues of environmental concern and social impact of most importance. Instead they set in train an assessment that was too big and too ambitious. It was not until the inquiry panel for the Environment Effects Statement issued its critical report on the project and the assessment process to that date that the decisive matters upon which decisions about whether the project should proceed or be prevented were articulated. Unfortunately, the Government has produced guidelines for the Wonthaggi desalination plant scoping that are too long, at times ambiguous, and in other parts complex. If, as I propose in a reformed assessment regime for Victoria, the inquiry panel had been involved early in the first Channel Deepening Project process, rather than being appointed just one-and-a-half months before the commencement of the public inquiry, then it could have heard the concerns of agencies and interested parties and the results of initial investigations by the Port, and directed the assessment appropriately. The inquiry panel could have indicated its requirements for a ‘proof of concept’ of the turbidity impacts, more thorough toxicity testing, and greater evidence about disposal options for dredged material. These requirements were apparent to the panel in the first few days of the hearing. The Environment Effects Statement would not have been published so under prepared and so open for attack. The weight of documents produced would have been less and better directed and opponents would not have needed to read through volumes of reports that proved to be indeterminate. I also question the sensibility of the Technical Reference Group signing off on the Environment Effects Statement then challenging the process and substance of the Environment Effects Statement in the panel hearing, as it did in the Channel Deepening Project. This role of approving the publication of the report should be allocated to the panel in a reformed environmental assessment approach for Victoria. As I have already mentioned, at the State level, in order to meet the objectives of environmental assessment processes and to fulfil the Government’s unmet promises of legislative renewal, I propose that the environmental assessment process be included in the framework of the Planning and Environment Act 1987. This was one of the non-favoured options in the 2002 review of environmental assessment laws. The option was not favoured principally because it was seen as lowering the importance and rigour of assessments, that a matter of such importance as environmental assessment deserved a standalone piece of legislation with its own objectives, and because it would fail to account for strategic policy direction beyond the planning sphere. None of these perceived faults necessarily stack up to analysis, especially if any project of potential significant environmental impact is addressed in a prominent part of every planning scheme and the policy documents guiding development and environmental conservation in the State are included in the framework. If every project nominated as potentially having significant environmental effects requires a planning scheme amendment a detailed assessment would be necessary by technical and independent experts in an open and accountable forum, and strategic policy would be critical to any decision made to certify a planning scheme amendment. The example of the Nowingi waste disposal project should encourage the inclusion of environmental assessments into planning regulations. In that case, the inquiry panel concluded that the environmental effects of project were acceptable. The project was rejected only because the inquiry panel concluded that the required planning scheme amendment was inconsistent with State planning objectives. Far from the planning scheme failing to engage with strategic policy, it facilitated it and would do similarly in environmental assessments. There would be many benefits of incorporating the environment effects statement process into the Planning and Environment Act 1987. In particular, transparent and predictable processes, fixed timelines, and guaranteed community participation all specified in the planning scheme or the Act, and greater scrutiny of decisions, including by both houses of Parliament. There would be a common policy framework in the State Planning Policy and a transparent process for the making of policy. Opponents would not need to venture to the Supreme Court as the Blue Wedges were forced to do, and potentially face difficulties establishing standing. Access would be available to the Victorian Civil and Administrative Tribunal for people who make a submission to an assessment panel. In contrast to the suggested reform approach, in the Channel Deepening Project the first panel was poorly directed and was unable to halt a process that was inquiring into an assessment that it believed was flawed. The terms of reference for the supplementary inquiry panel prohibited cross-examination and limited the inquiry panel hearing time to four weeks. The prohibition on cross-examination was not well received by the inquiry panel, which cautioned the Minister in its report from adopting a similar practice in future assessments. Equally, the inquiry panel had ‘some sympathy with the view that there was insufficient time to review the … material’. There is hope that the process will be improved if it is left to the discretion and control of such independent minds. This reform approach depends on a faith in the planning system, and respect for the competency of the Victorian Civil and Administrative Tribunal and the independence of Planning Panels Victoria. It attempts to fix some of the problems in the Channel Deepening Project process while maintaining key features of deliberation, independence, clarity, and fairness. A reformed process could include strategic environmental assessment. A standing Advisory Committee could be formed to review strategic policy, and with a capacity to include strategy in the planning system as reference documents. Strategic environmental assessment would have prevented the making of poorly planned policies that led to the failed proposal to locate a waste disposal site in Nowingi, and would ensure that policies like the Victorian Ports Strategic Study and Our Water Our Future incorporate community views and are subject to rigorous analysis. Without such involvement and analysis the Our Water Our Future policy has been criticised by the Auditor General as being rushed and prepared with inadequate consultation. A lack of consultation and inclusion in the development of the policy that underpinned the Channel Deepening Project led to fiercely held opposition to the Channel Deepening Project, including by the Blue Wedges Coalition and initially by Newport Power Station. This lack of consultation was, in my view, the main reason why the assessment and the project has been delayed and surrounded in controversy. It was only after the environmental assessment works for the Channel Deepening Project were initiated that a consultation strategy for the project was put in place. By the time opponents were consulted their opposition to the Project was entrenched and the proponent was in a difficult position of trying to respond to community concerns that changed and built as people learnt more about the project and as potential weaknesses with the project were uncovered. This evolution of opposition can be seen throughout the environmental assessment process. The proponent’s science was not able to keep up with the changing concerns of the community. A focus on sea level changes and hydrodynamics diverted attention from turbidity concerns for businesses that extract water from areas close to the proposed works. A focus on a fix to those problems disguised the problems with the toxicity testing that would be spectacularly uncovered during the inquiry panel hearing into the Environment Effects Statement. The Commonwealth’s interest in this project proved to be a sideline matter until after the project was assessed and close to approval, when the absence of any accessible avenue for legal challenge to State environment assessment decisions led the Blue Wedges to take ambitious causes of action to the Federal Court. The project was declared a controlled action by virtue of its likely significant impact on migratory species, threatened species and communities, Ramsar wetlands, and the environment of Commonwealth land on Swan Island. All of these aspects of the environment proved to raise only minor environmental issues in the greater scheme of the assessment. The project underscored the ineffectiveness of the accreditation process and the need to empower the Commonwealth to undertake rigorous and holistic environmental assessments of projects of national importance. It was folly that the Commonwealth was concerning itself with effects on bird species capable of avoiding impacts, marine species rarely seen in areas of predicted effects, the consequences of any inundation of Ramsar areas that would be miniscule compared to predicted sea level changes resulting from climate change, and the environment of a naval base that was on the periphery of the predicted scale of the effects. The project is one of national importance. Through the project the Port aims to maintain its international competitiveness and increase exports and overall international trade effort. Yet the only aspects of national interest investigated by the Commonwealth were the social and economic effects, not the environmental ones. 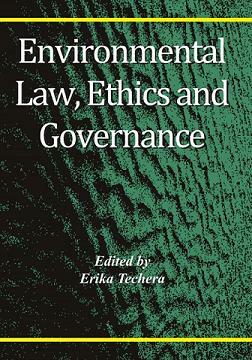 There is cause to pause and inquire into whether some of the features of the now defunct Environment Protection (Impact of Proposals) Act 1974 should be revived and activities of an international nature or national infrastructure projects be included as triggers for whole of environment assessments under the Environment Protection and Biodiversity Conservation Act 1999. The Environment Protection and Biodiversity Conservation Act 1999 has not proved influential in Victoria aside from its use by the former Minister for the Environment, Ian Campbell, to temporarily reject the Bald Hills wind farm. Frustratingly, however, the accreditation of Environment Effects Statement processes by the Commonwealth has been used as a credential for the Victorian Government’s assessment approach. This may be the greatest obstacle to real reform of environmental assessment laws in Victoria. Extraordinarily, the Commonwealth recently accredited a process for the proposed North-South pipeline that is not recognised in Victoria’s laws and that excludes from its terms and references an investigation any economic and social impacts. How the Commonwealth Department for Environment, Heritage and the Arts proposes to satisfy its legal obligation in the Environment Protection and Biodiversity Conservation Act 1999 to consider not only environmental but also social and economic impacts when deciding whether to approve the pipeline remains unclear. What is clear, however, is that reform of environmental assessment laws in Victoria is overdue. We, as participants in the process, cannot be satisfied with the tinkering of the process in 2005 that was trumpeted as reform and we should not be complicit in a further weakening of the process as is occurring now.